In a floor-length gown with a bejeweled, shimmering waist-band, Chelsea Clinton surpassed the fashion expectations of the so-called "Wedding of the Century." 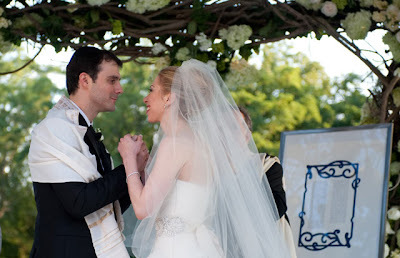 Then, Chelsea Clinton was the princess bride who atrracted 400 guests eyes who gathered at Rhinebeck’s Astor Court. 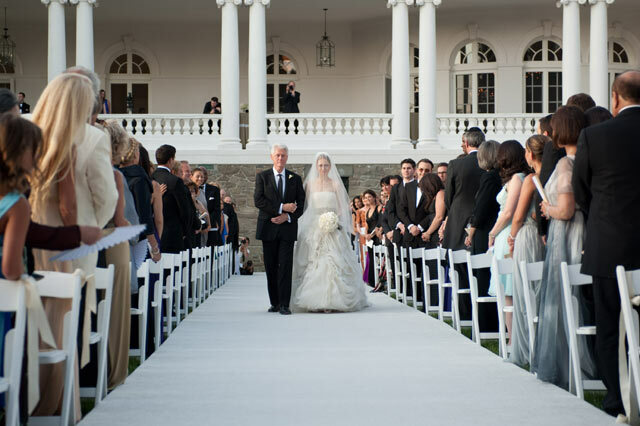 The designer of that wedding dress is Vera Wang. For Chelsea’s custom gown, Wang dreamed up a dress fit for a fairytale. Cinderella, to be precise. Tiers of white tulle bustled beneath a hand-stitched organza overlay. A jewel-encrusted waist completed the regal confection. 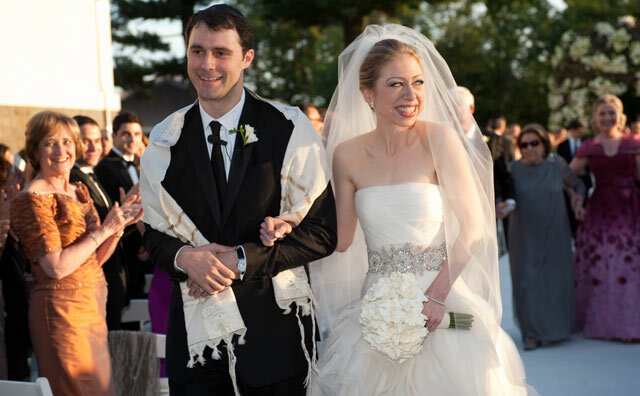 In that floor-length veil draped over her elegant updo, Chelsea was escorted down the aisle by her father, as Wang—a wedding guest—looked on. Whereas, The Queen Mum, Hillary, wore a wine-colored Oscar de la Renta gown. The wedding of Chelsea Clinton and Mezvinsky was held on Saturday, July 31, 2010 at Rhinebeck’s Astor Court. 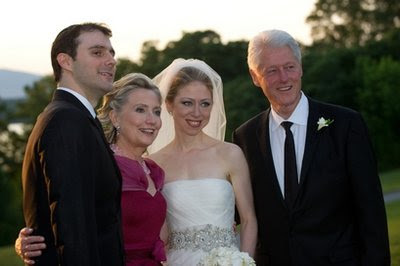 Chelsea Clinton and Mezvinsky were friends as teenagers in Washington, and both attended Stanford University. 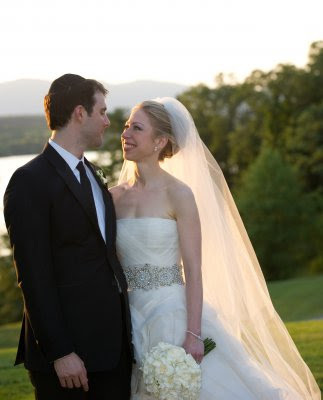 They now live in New York, where Mezvinsky works at G3 Capital, a Manhattan hedge fund. Mezvinsky worked previously at Goldman Sachs as an investment banker.